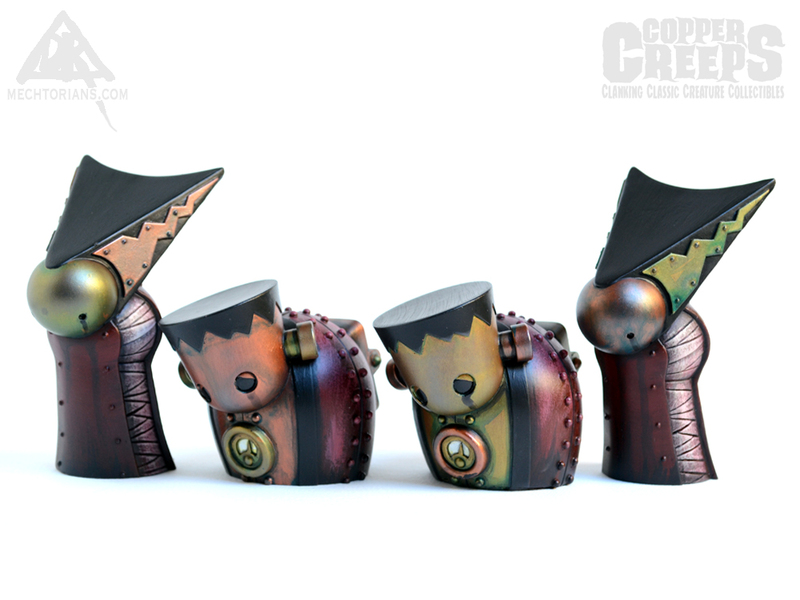 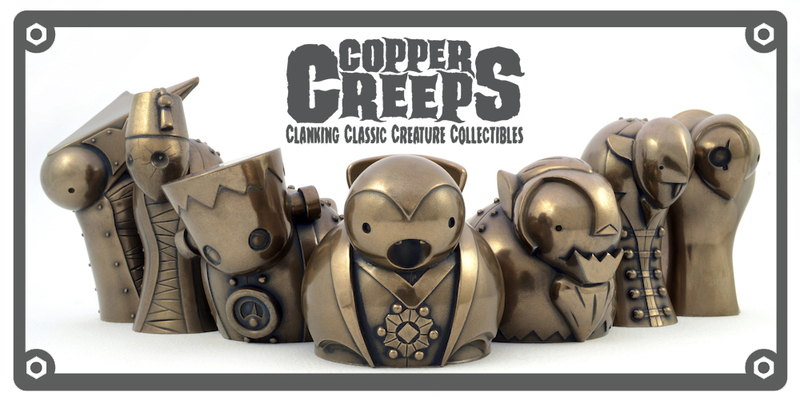 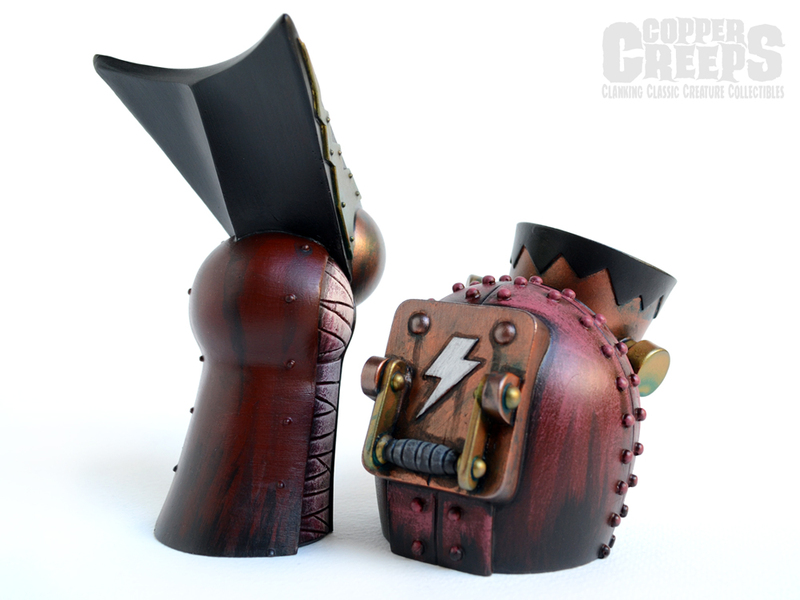 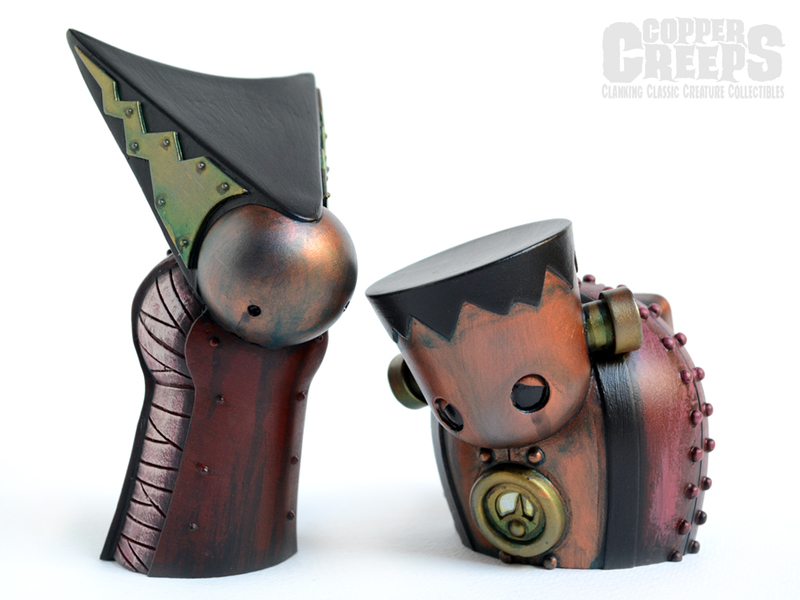 I will have these four unique painted version of series 1 of Copper Creeps available at Toycon in London on the 29th and 30th of April. 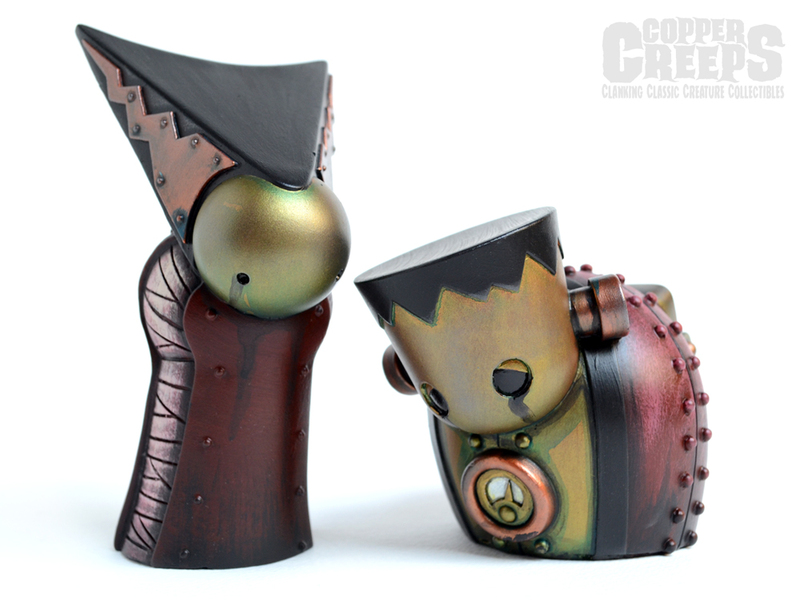 Two each of The Monster and The Bride will be available in these striking red and metallic tones. 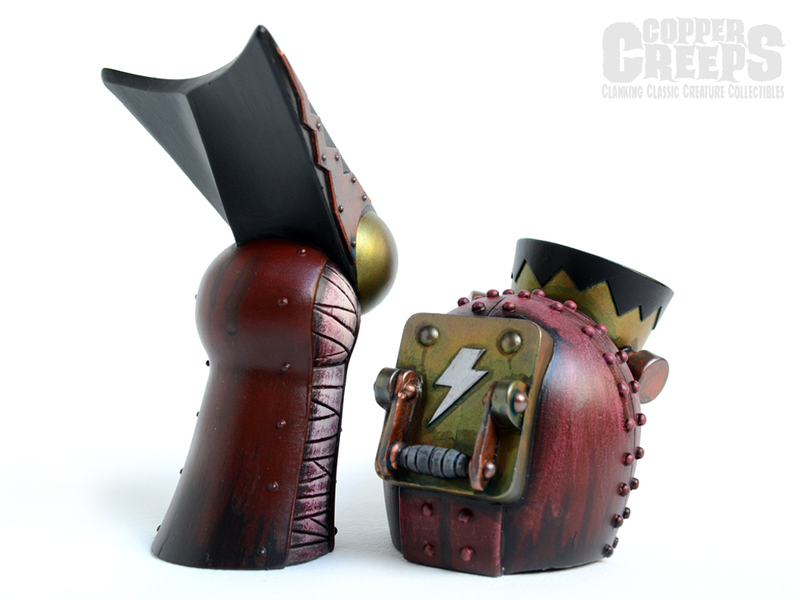 Any remaining after the show will be available through my online store.